WATCO Wipe-On Poly provides the protection of a polyurethane finish that is easily hand-applied to wood. Wipe on with a clean cloth to achieve a smooth even finish with no brush marks. WATCO Wipe-On Poly provides a clear finish, resistant to water and general household stains. It is ideal for interior furniture including detailed and intricate wood items. 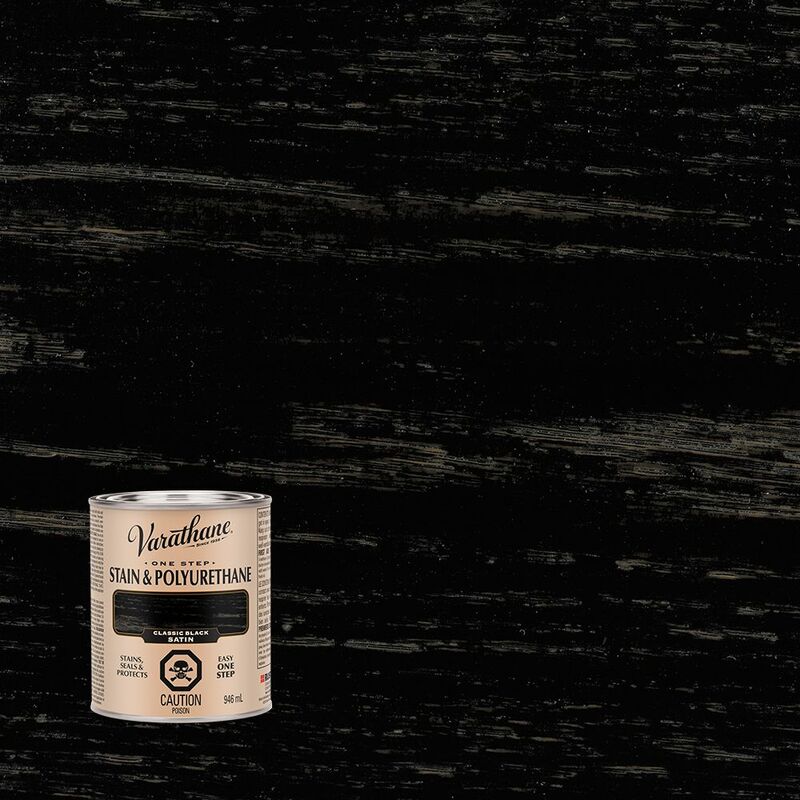 Varathane Stain & Polyurethane Satin Classic Black 946ml In one easy step, you can now apply both stain and polyurethane to your wood project using Varathane One-Step Stain & Polyurethane. Premium pigments provide deep, rich colour while Varathane's renowned polyurethane adds a smooth, even protective finish without brush marks.